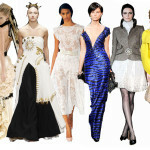 Do You Cry for Couture? 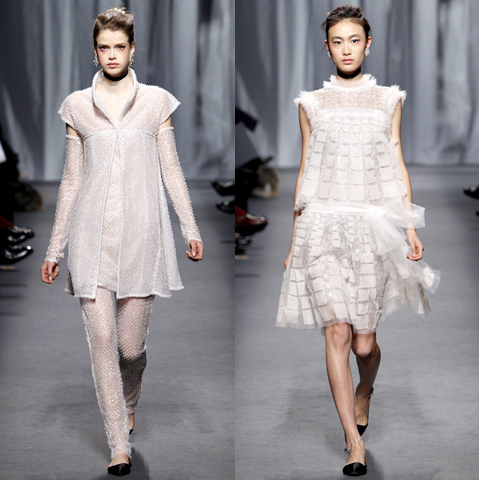 It goes without saying that seeing snaps of a runway show pales in comparison to seeing the clothes in person. And, of course, this truth is amplified when you are referring to haute couture. Still, those of us with neither the budget nor the media sway to gain access to these gratuitous displays of high fashion can still flip through sites like Style.com for a peek at the world’s most expensive garments. Yet while photos like these on the right are somewhat charming, they certainly don’t motivate any fantasies about having a spare $50,000 to spend on one of them. With only these tiny, 2-D representations of of the clothing it can be hard to relate to reports of attendees crying at the sight of the hand-sewn creations gliding down the runway. Granted, the alleged crier was Monsieur Lesage, himself. 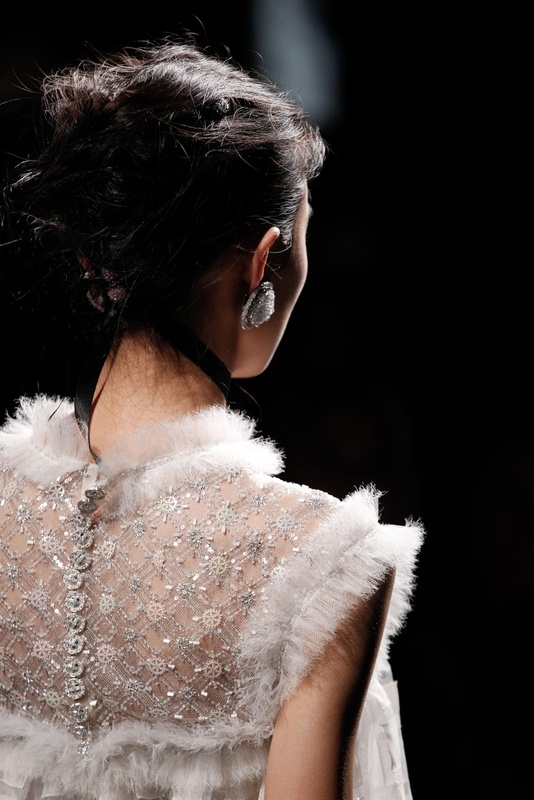 The legendary couturier responsible for Chanel’s embroidery. Considering the upwards of 350 hours of work that go into the making of a single couture garment of this caliber, one can imagine the tear jerking effect of seeing your labor of love finally sashay down the runway on the slim hips of an underfed, underpaid model… And just imagine, they do this twice a year. 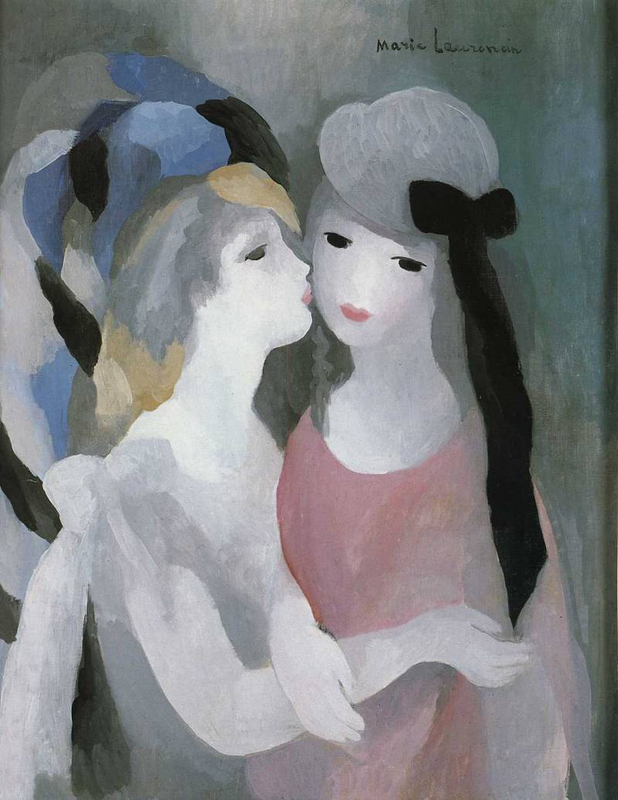 The below image is of the 1927 painting “Kiss” – a work by the French artist Marie Laurencin, whose art Lagerfeld references in the interview (and in the collection, apparently). As the designer implied, the murky color palette is really the only thing that’s reflected in the Chanel collection. There’s something about Laurencin’s paintings that strikes me at the soul level. Aesthetically it’s not a style that I would choose, but it somehow provokes nostalgia for a time I never experienced. It resonates with me in a way that’s not entirely pleasant, but I suppose that’s the sort of bittersweet attraction that good art often has. See more Laurencin works via kroshka_50369.